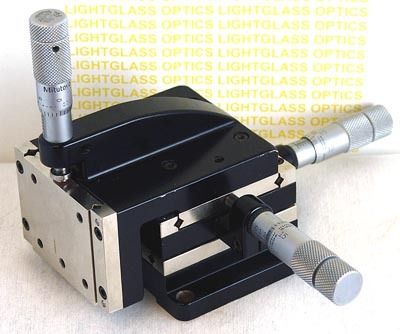 The Line Tool Co. J-RH 3-Axis Linear Translation Stage is a lower-profile XYZ stage than the A series. It has the Z axis offset from the XY axes accomplish this lower profile. Both currently in stock are painted black rather than the usual off-white color Line Tool stages are normally painted in.